I TALK to a lot of people looking for jobs. One of the issues that comes up again and again, is the feeling that they are not appreciated for the work that they do. We have all felt it at one time or another, and you may feel it right now. The question is: How do you turn it around? How do you go from being underappreciated to being appreciated? I asked around for advice, and here are some tips I received, along with some I have learnt along the way. For the purpose of this article I am going to assume you deserve to be appreciated. This is really the strongest way you can communicate. Often, part of letting your work speak for itself is communicating it clearly to those you want to impress. Have you ever walked your audience through the thought process of your work? For example, Web designer Paul Boag, co-founder of Headscape, makes sure that the first time a client sees a website he has designed, it is accompanied by a video of him explaining the design. That way he can communicate his thought process along with his work, thus minimising confusion when the time comes for a review. Many people are self-centred. One of the main reasons you may not feel you are appreciated is that everyone is spending so much time obsessing over themselves. If you don’t feel anyone appreciates you, ask yourself whether you show your appreciation of others. Start by taking the initiative and recognise others’ work. Compliment in person via e-mail, and let others know how well you think a colleague is doing. Who are the company’s rock stars? Can you align yourself with them by getting on their team, or at least commenting or complimenting them on their work? This is a sensitive area because if you go overboard with this process you could quickly be labelled a self-serving “apple polisher”, and your efforts will have backfired. Be genuine about your interest in rock stars’ work and your desire to work with them. Co-workers tend to loosen up after work, so if you want to form a stronger bond with a colleague, take him out for a low-pressure, casual lunch. When you do so, keep work and yourself off the agenda. Spend the time trying to learn more about him. Keep asking questions to show you are honestly interested. The best compliment you can give someone is simply to show interest. This is your chance. No matter how hard you try, you simply can’t get anyone within the company to recognise how awesome you are. In such a situation, most employees start looking for the door. But if you really love your job and you want to keep working at the company, you could seek acknowledgement outside the organisation. If this recognition becomes public, via traditional or social media, it will have a far-reaching affect within your organisation. Sometimes, the only way to get people within your company to recognise your talent is have someone outside the company point it out. This may not be so easy if you work in an organisation where all your work is extremely private. Regardless, your thoughts and ideas not connected to the company can be recognised. The best way to get recognition is to participate in industry events and start volunteering. These are probably the best ways to prove yourself. 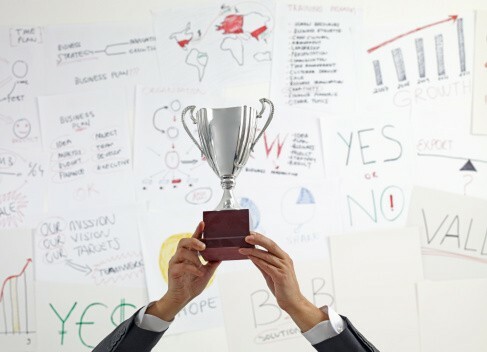 Not only will the public recognition get back to your company, but your managers may feel a little threatened that you might jump ship, as others see something in you that they didn’t see. You may be awesome, but you also may be green to the industry, so it is difficult to show off how much you know and what you can do. This is where you have to use the knowledge of others to your advantage. Make sure you continually read trade publications, and attend as many trade functions as you can. Do your best to share the knowledge with your co-workers. The more you do this, the more that knowledge will be attributed to you — and the more you will be seen as a valuable resource. Be patient. No one gets immediate appreciation of his work. If things don’t go your way, never do anything drastic, because that will immediately be seen as a sign of desperation and will definitely backfire. If you are truly doing great work, communicating that work to others, and making the connections you need within and outside the organisation, you will see others begin to truly appreciate your efforts.